Hello loyal Celia Bedilia fans…Happy Memorial Day weekend. I am such a fan of summer and I cannot wait to get started enjoying this wonderful season. So this weekend I am planning to fill the pots and planters on my deck and front patio add lighting to my backyard and maybe host a BBQ! Be creative when choosing planters this is a great place to reuse/repurpose items, Wheel Barrows are great for vegetable gardens and you can move it to follow the sun! Choose different size pots and 1 color or mix and match. 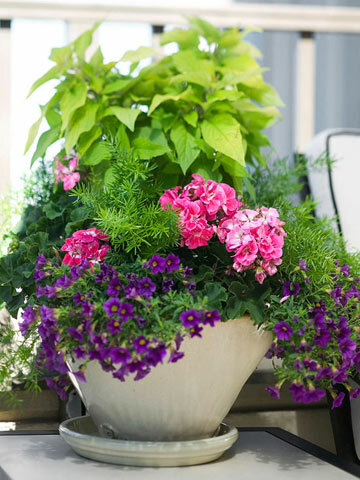 Start with your favorite plant as the center of your planter, add filler around it. I like potato vine, and herbs as my filler. Make a color plan before you go shopping; take the color of your house into account. For example I have a red house, purple, white and yellow look great against red. I use different height plants as well, I like to have some height to each pot, I think just having pansies in a pot looks dinky! Have fun with it your pots, if you have young kids get them to help…they love to get dirty. 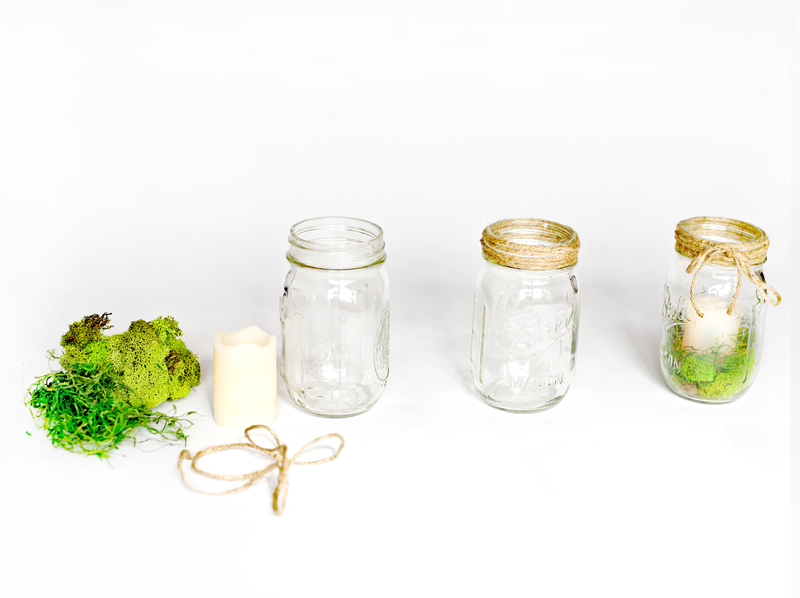 Collect assorted sizes of Mason jars, add a 2” pillar candle, moss (wet it first) and then use twine on the lip to complete the look! These look great on outdoor tables because they are rustic and natural looking. 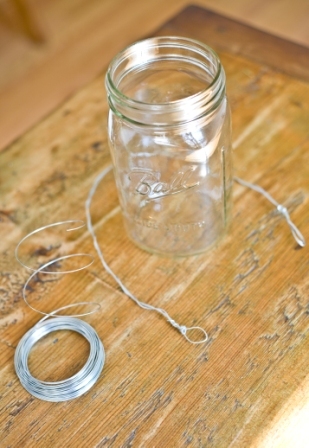 For the hanging Mason Jars (use large jars) you will need wire, I make the U shaped hanger first with four 14” lengths of wire create loops at the bottom and then twist the 4 wires into one, then side wire through the loops and around the lip of the jar I go around the lip 4 times and then cut the wire and twist it onto one of the loops of the U. Add a small pillar candle and a touch of water. Hang from branches in the trees or from shepherds’ hooks! They are really cool. Toss mini potatoes with oil and salt and pepper grill over medium heat for 30-35mins. 3 Tbsp Balsamic Vinegar, 5 Tbsp Olive Oil, 2 Tbsp OJ, Pinch of Salt, Sugar, and Pepper, ¼ Tsp Mustard-mix in small bowl- toss with other ingredients just before serving.